Reinier Bos is a familiar face to anyone who has had to pick up a Dytter battery during a jumping jaunt at Spain’s famed Skydive Empuriabrava–but that’s certainly not all he does over at Ram Air Sky Sport. The company’s headquarters–located just 100 meters outside Skydive Empuriabrava–presents a whopping 120 square meters of space, complete with workshop, sewing machines and retail floor. Reinier reckons it’s Europe’s largest skydiving business, supplying other smaller drop zones and several militaries as well as the individual jumpers who come through Empuriabrava. He’s also an event director of significant note on the skydiving scene. He has organized all four editions of one of the world’s most recognized swoop competitions–the “King of Swoop”–in 2005, 2006, 2007 and 2014. 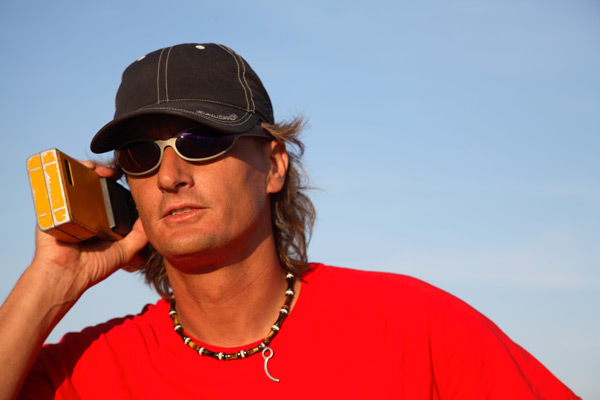 Renier also served as director of the first-ever swoop competition in Dubai. (That was back in 2010, before the world-famous dropzone had even come into existence.) He was technical director of the Swoop World Championships in Vienna 2007 and assistant director of the Skydiving World Cup in 2002. Renier has been a constant presence at Skydive Empuriabrava since 1994, when he arrived from South Germany to make it his adopted home. When he arrived, he already had plenty of experience–he’d been part of the management in what used to be Germany’s largest skydiving club. Also, he had another really interesting distinction which is CYPRES-related: Reinier, while in Germany, was one of the first European skydiving students to be kitted out with CYPRES units. This was in 1991. When the young student Reinier was gearing up, he was unwittingly on the vanguard of skydiving technology. Before the CYPRES, European skydiving students who were equipped with AADs were generally equipped with an FXC AAD. The FXC system was low-accuracy. Sometimes it fired too high; at other times, too low. CYPRES made it a goal to solve this, as well as a range of other accuracy- and reliability-related issues with the AADs it would come to replace. Photo provided by Reinier Bos. At the time, Reinier had been studying Economics for an MBA in a German university. During my AFF course, so it happened, that one team member of the South German 4-way team quit. The coach decided that, instead of taking on a more experienced skydiver with bad habits, to find a brand-new student graduate train them into the team from, essentially, a blank slate. Reinier’s fateful move to Spain originated, as luck might have it, as a joke. One day in 1993, he found himself in a conversation with a group of the owners and made a gonzo proposition. He said that, if one day they were looking for someone to work there, they should give him a call. He didn’t think they’d take him up on it, but they did. The following year, they called him back and asked if he’d be interested in working with them as load organizer. Reinier during the early days of King of Swoop. Photo by Babylon Free Fly. Reinier’s next contact with CYPRES was quite a bit later after his student days: 1996, to be exact, when the CYPRES was a reasonably well-established piece of kit, though it was still in its earlier moments. That contact came when Reinier started instructing for the dropzone’s AFF and tandem programs. 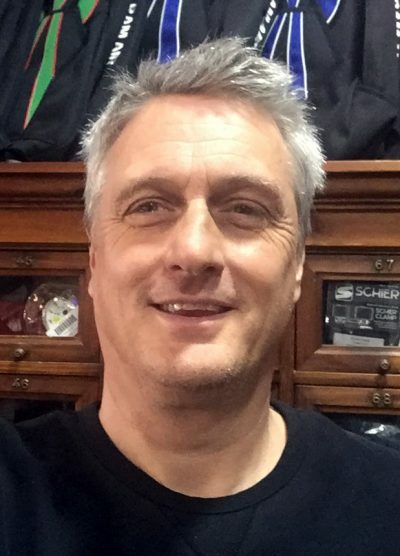 In 2002, he founded the first European canopy school–Canopy School Empuriabrava–and in 2003, he opened the “Skyrats” gear store at Skydive Empuriabrava and became a CYPRES dealer. The story of how Skyrats became Ram Air Sky Sport itself does much to illustrate Reinier’s personality, as it was motivated in great part by his admirable work ethic. The idea for the store originated from unwanted downtime. During the years that Reinier was doing AFF and tandems at Empuriabrava, there was plenty of time spent waiting on the ground–as it always is in skydiving. While he waited, he schemed. Instead of just sitting and watching the weather, he could do something else so as not to waste time–but what? Eventually, he decided to run an equipment store. He could do that no matter if the weather did or did not cooperate. That first shop was, of course, Skyrats. In 2009, the company outgrew the space that had been proffered to him by the dropzone. Instead of staying small, he embraced the expansion. He converted the enterprise to the Ram Air Sky Sport we all know today and moved off the dropzone to found a significantly larger facility. “In between, there has been one major event that made me stay forever with CYPRES,” Reinier notes. There was a very sad event before the Speed Cypres appeared. Measuring winds at an early King of Swoop event. Photo by Babylon Freefly. 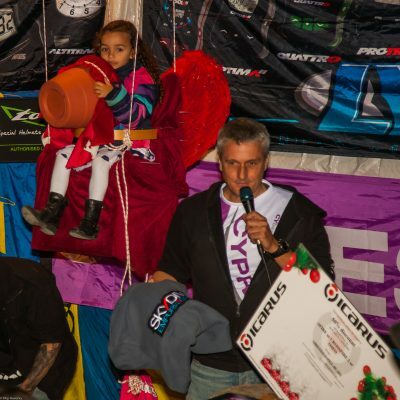 Since that terrible incident, Renier has become one of the staunchest industry supporters of Airtec and its CYPRES technology, and his business–Ram Air Sky Sport, one of the world’s biggest skydiving gear suppliers–carries no other AAD but CYPRES. 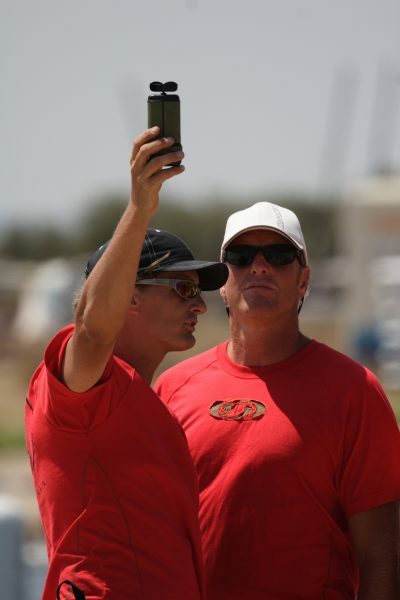 It’s the support of skydiving industry professionals like Renier that has helped us to continually develop the most accurate, reliable automatic activation device available to the world’s skydivers, and we couldn’t be more grateful.